Last month we are so busy for dealing with all the orders from our spring season promotion. We are sorry for the delaying that we brought to our customers,after discussing with our team members,Maxcatch decide to bring our anglers a fly fishing closeouts. All the fly fishing closeouts products in this model will be changed every week with 30%off -50%off. Maxcatch really appreciate all the helps that our anglers gave us. As we are an professional fly fishing takcles company,we decide decline all the lure fishing products,but if you have questions about Maxcatch,no matter the lure fishing or fly fishing. We want to provide our anglers a better fly fishing experience and also a better shopping experience online. 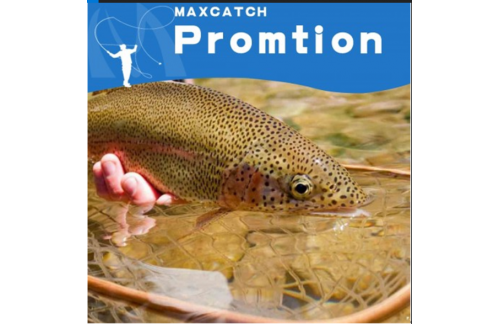 We promise all the fly fishing closeouts products from Maxcatch will have the best quality and will we provide free warranty,if there is any quality problem,we will make a refund or a new replacement. Maxcatch will have more fly fishig closeouts and bring more anglers join fly fishing sports.